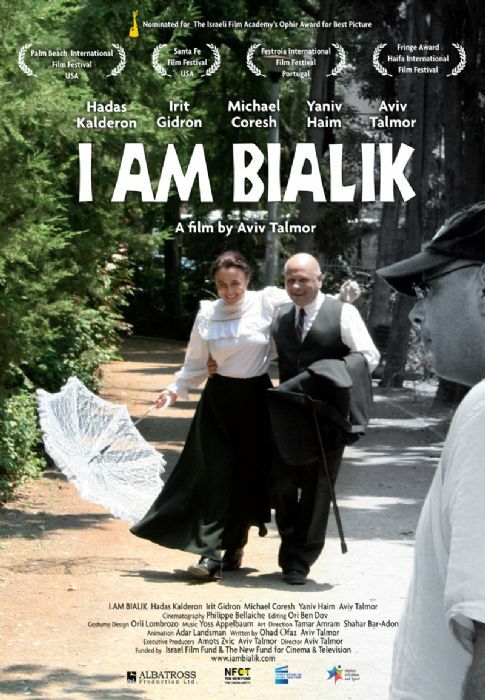 (Israel, 2013, 77 Minutes, Color and Black & White, Hebrew, English and French subtitles, Cast: Hadas Kalderon, Irit Gidron, Michael Coresh, Yaniv Haim, Aviv Talmor). The following story of Aviv Talmor, a frustrated poet and literature teacher from Tel Aviv, is true…mostly. After receiving a pitiable inheritance from his deceased father who never acknowledged him, Aviv experiences a sense of grief and humiliation which shows up in his poetry and literature classes. He finally decides to refute his father’s will and fight it is court in order to gain recognition - once and for all! In searching for evidence of his family’s background, Aviv discovers relatives that he never knew from his father’s side and a surprising bloodline to Hayim Nahman Bialik, Hayim Nachman Bialik, Israel's acclaimed national poet. Aviv is excited by the possibility that he may be the illegitimate great grandson of the national laureate and begins to publish (these) the news. The literary community is shocked by Aviv’s revelation which threatens to impact the esteemed poet's reputation. girlfriend and sanity. Will he stop before it will be too late?